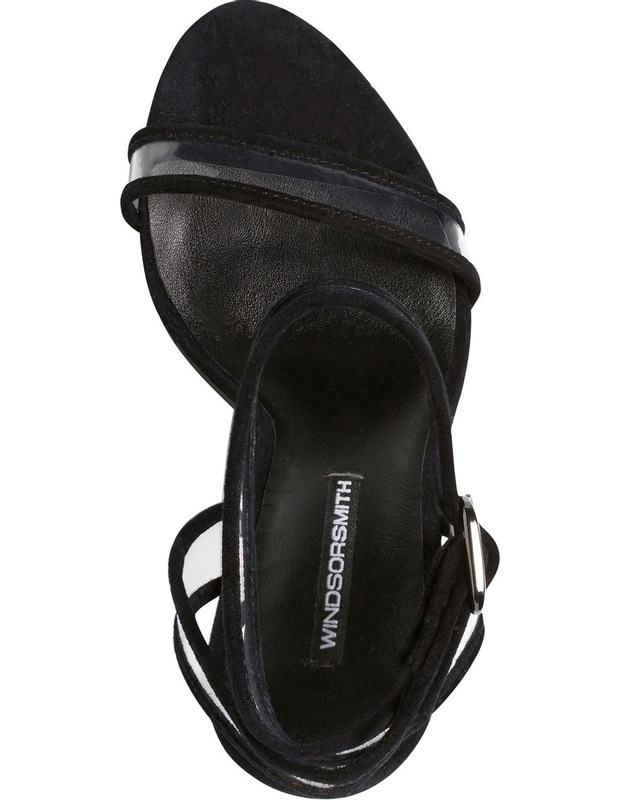 Windsor smith Gabriel blk/clear sandal. Suede leather upper. Non leather lined. Buckle fastening. Perspex detailing. Heel height of 10.5cm.